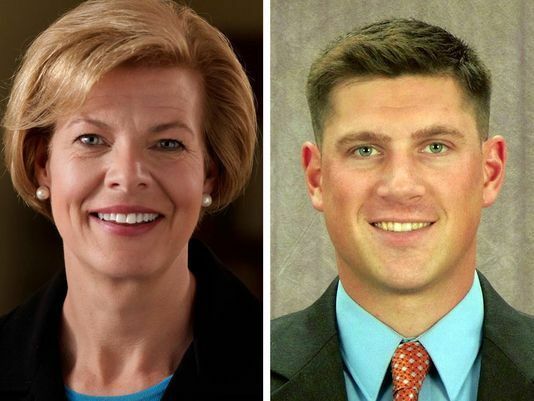 By Tom Kertscher on Thursday, August 31st, 2017 at 6:00 a.m.
Kevin Nicholson, a former Marine, is the only Republican who has announced he will run in 2018 for the U.S. Senate seat held by Democrat Tammy Baldwin. Did Kevin Nicholson, the only Wisconsin Republican so far to formally announce he’ll run against Democratic U.S. Sen. Tammy Baldwin in 2018, vote for Barack Obama, Hillary Clinton or another Democrat in the 2008 Democratic primary? With secret ballots, there’s no way to know for sure. That’s why we’re leaving aside our Truth-O-Meter for this item. But the 2008 primary vote could be important to GOP primary voters -- assuming one or more other Republicans jump into the Senate race -- given that Nicholson was once president of the College Democrats of America and spoke at the 2000 Democratic National Convention. And what records are available indicate that Nicholson did not cast a "no preference" vote in 2008 as he says he did. So, let’s dig into this. In May 2017, when Nicholson was still weighing his candidacy, WITI-TV in Milwaukee reported that the former Marine said he had voted "no preference" as a Democrat in North Carolina's 2008 presidential primary. But voting records showed, according to the station, that among people who voted in-person in Nicholson's precinct -- as Nicholson did -- no one voted no preference. Nicholson insisted to the TV station the records were wrong. On July 26, 2017, the day he announced his candidacy, Nicholson gave the same explanation in an interview with Dan O’Donnell, a conservative talk show host on WISN-AM in Milwaukee. He also said he later voted for the Republican nominee, U.S. Sen. John McCain of Arizona, in the 2008 general election. Nicholson wasn’t entirely solid, though, about his "no preference" claim after O’Donnell asked about the TV report. O’Donnell: How do you explain that discrepancy? Nicholson: Oh, I think that there was a no-preference vote. But in any case, Dan, here’s what I’d say: We’re talking about paper ballots from 10 years ago and it’s no surprise to me, and I don’t think it’ll be a surprise to your listeners, that the government has a hard time counting paper ballots from a decade ago. A moment later, O’Donnell followed up. 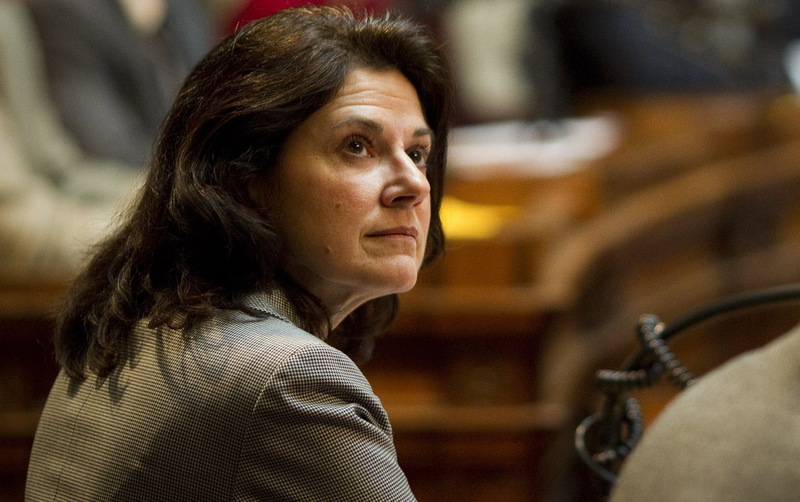 O’Donnell: But did you vote no preference, or did you vote in that primary? Nicholson: No, I know (unintelligible) -- and here’s why. Because I had just gotten back from Iraq and -- I didn’t know this, because I don’t really think about these things -- but I think North Carolina had like a 25-day period where you had to have changed your registration before you went in to vote. So, when I showed up to vote in that primary, I was told I couldn’t vote in the Republican primary. So, I went ahead, I voted no-preference. I voted for McCain in the general…. O’Donnell then asked about a report in the Milwaukee Journal Sentinel about a telephone poll that asked about Nicholson (though not by name) and his 2008 primary vote. O’Donnell: I understand your explanation. But recently the Journal Sentinel’s Dan Bice did a report that either you, someone affiliated with your campaign or someone on your behalf did conduct a (telephone) survey. And it was basically seen as sort of focus-grouping the version of your Democrat past that would be most palatable to voters. There were two different versions of your time as a Democrat, Bice reports, one in which you were presented as having voted for a Democrat in 2008 in this primary and one in which you were not. I mean, I guess the question I have is: How do you explain this and do you think that’s a little disingenuous if you were focus-grouping which version of this story you were going to go with? Nicholson: No, I don’t think it -- and furthermore, I don’t comment on polls, I don’t really know who’s running which polls on what or any of the rest of it. Here’s what I do know: I know there’s a whole lot of people out there who are looking for ways to attack you because this is politics and this is what people do …. was certainly not going to cast a ballot for Hillary or Obama or any of the other Democratic candidates. The fact that the government’s records of paper ballots from nearly 10 years ago are wrong won’t come as a surprise to anyone who believes that government is too big, too bloated and too inept. Dennis Boyles, director of the elections board in Pender County, N.C., where Nicholson voted in 2008, couldn’t provide a definitive answer on how Nicholson cast his ballot. Unfortunately, the reporting software used on Election Day at the county level merges the "early voting" results with the Election Day results before it is displayed to the public. Several news media outlets from the Wisconsin area have displayed a spreadsheet or graph that is not being produced in our office. These appear to be genuine reports from the state or other outside source. Unfortunately, I have not be able to duplicate the report.